Want to enjoy e-books more and retain more from them? Here are my e-book literacy tips. Your own? 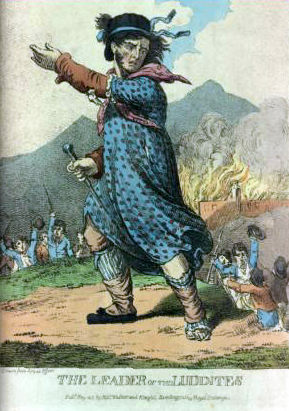 Ned Ludd, the tech-hater, is dead. But critics of e-books live on, and they are not entirely wrong. Many people do not retain as much from e-books as from p-books, nor are they as comfortable reading them. But who says they can’t learn to love E and absorb more than ever? Up with e-book literacy! Below I’ll share e-book literacy tips, summing up what I’ve mentioned earlier on the TeleRead site. Why not add your own wisdom in our comments section? 1. Pick the right e-reading device, since they’re like hearing aids and eyeglasses. What works for Janice may not for Jane, and vice versa. E-book critic Mike Rosenwald does in fact own a Kindle and says he prefers it to his iPad, because it’s more like paper. Fine. Whatever works. Some people can’t stand even the slightest glare from tablets or phones. In shopping for gizmos for e-reading, pay attention to specs such as screen resolution. Their importance will vary from individual to individual. But one thing is clear: An iPad Air 2 with 2048 by 1536 screen resolution will mean more comfortable reading than on, for example, an old laptop with a fraction of that resolution. Alas, many cash-strapped students and others rely on older devices for e-reading. No wonder studies say many young people are down on e-books. They’re not giving them a chance if they read them on fifth-rate hardware. That said, you don’t need the latest and greatest display technology to enjoy e-books. 2. Many and perhaps most of the people with glare problems could benefit from using white text against a dark screen. TeleRead’s Joanna Cabot has provided a how-to for people using Kindle apps and the Fire series. The details may differ for your particular app or device, but if so, keep in mind the basic idea. You want to work within the colors menu. One bonus of the white-against-black mode may be that that if you have LCD-related sleep problems, they may vanish or at least not be as bad. In a somewhat similar vein, Andrys Basten told how to do a reverse on certain Kindle E Ink machines in special situations (even though visibility rather than glare would probably be the main issue). Updates welcome. 3. Anther glare-reducer is to use bolder fonts and also lower the brightness, which, as a side benefit, will prolong battery life. Alas, bold font on Kindle devices and within Kindle apps don’t exist—despite my pleas to Amazon. Anyone else care to write jeff@amazon.com? Luckily, for nonDRMed books, you can use apps like Moon+ Reader Pro (Android), which lets you do all-text bold on all or at least most fonts. Other apps may have bold fonts among the options, such as Voice Dream Reader Pro. 4. Familiarize yourself with, say, commands to vary margins, line length, spaces between lines and other variables. Experiment! It’s worth the time. 5. Also try to get books in a “reflowable” format such as ePub so you can vary the size of the type and still let the lines easily break in the right places. PDF, alas, one of the planet’s most popular formats for text, is a disaster even if certain kinds of software can help mitigate it. 6. Sounds obvious, but I’ll mention this anyway: Check in with your eye doctor to make sure your prescription is up to date. Also consider experimenting with magnifying glasses. 1. Don’t confuse e-books and p-books and rely on page flipping, or the electronic equivalent, to get a feel for books. Yes, you can still use the table of contents or an index, if either is available. But instead of page flipping, do searches on important words such as the characters’ names in a novel. And then look for the snippets of text that surround the search words. 2. Try out such features as Amazon’s X-Ray one—helping you track characters, for example. 3. If the book is nonDRMed and you’re running IOS, consider the Marvin app, which automatically generates summaries. I suspect Android equivalents are out there. If not, they’ll inevitably appear in time. 4. Experiment with taking notes in handwriting (while picking up unique phrases in the text, so you can get back to the specific text on which you took notes). You might find you retain information better that way. Electronic notes are great for sharing. But some think they might not be as good for comprehension. 5. Take care that you optimize the book for comfortable reading—in, say, the typestyle that works best for you. See the “Comfort” section. 6. Experiment with text to speech, if available, to help you get into the book. The more intrigued you are, the more likely you are to absorb the material. Apps such as Moon+ Reader Pro and FBR Reader (another good one with all-text bolding) support TTS. And of course that’s the main point of Voice Dream Reader. 7. Consider “slow-reading.” While enjoying an e-book, you can blow up the type to reduce the number of sentences you see on each page and pay more attention to each one. OK, what are your own comfort and comprehension tips for e-book reading? The post Want to enjoy e-books more and retain more from them? Here are my e-book literacy tips. Your own? appeared first on TeleRead: News and views on e-books, libraries, publishing and related topics.